The rise of digital has led to an interesting shift in customer and seller dynamics. Today's customers are empowered, better informed and opting to gather information before reaching out to a salesperson. So how can small businesses stay ahead of their competition to grow their prospect base? Stay informed so they can remain relevant to their buyers. Implement a territory strategy to ensure all targets are reached. 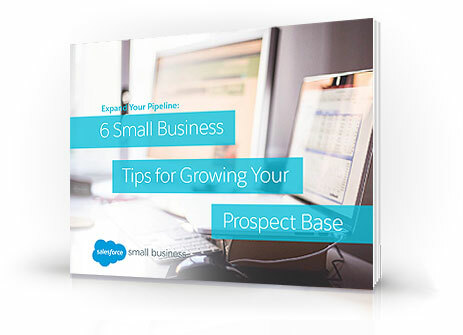 Download this free e-book today to find out how to expand your pipeline and grow your prospect base.